The Border Uplands project is a joint venture between ICBAN, Fermanagh District Council and the County Councils of Cavan, Leitrim and Sligo which will create much needed outdoor access, recreational and amenity infrastructure in the scenic uplands of the region. 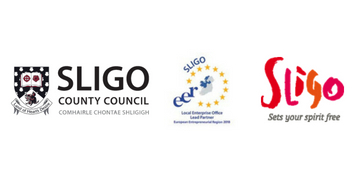 The Project is funded under the European Union’s INTERREG IVA programme and managed by the Special European Union’s Programme Body (SEUPB). The Border Uplands project will create much needed outdoor access, recreational and amenity infrastructure in the scenic uplands of Fermanagh, Cavan, Leitrim and Sligo. To use cross-border co-operation approaches to strengthen and develop the region as a world class tourism destination. To upgrade and enhance aspects of the Marble Arch Caves Global Geopark. To put in place joint marketing, education and management structures in the proposed area. To increase visitor numbers to the area by 15% within three years of project completion. Provide sustainable tourism in remote cross-border locations, which would not otherwise attract significant visitor numbers. Increase the geotourism and recreational potential of the region through the increased sustainable tourism and social use of the countryside, with economic and social benefits for rural development within the region. Co-ordinate the development and refurbishment of strategic walking routes, trails and other countryside recreational opportunities such as the 25 Walks in Fermanagh, the Ulster Way, the Cavan Way or the Miner’s Way. Further enhance the geodiversity, biodiversity and natural environments of the region including measures to improve natural habitats or geosites where appropriate. Provide improved opportunities for the tourist and social use of the countryside and to enhance public enjoyment of the natural landscapes of the region. Promote knowledge and understanding of Geology, related Earth Sciences, endangered habitats and associated environmental issues through field work and scientific research. Raise public awareness of the importance of the countryside and the important role of the agricultural and forest industries as economic producers and in protecting the environment.